Realize multiple personalized print jobs, which exceed end-consumers’ expectations. Integrating HP thermal inkjet print modules in your workflow will enhance your digital performance. The HP color C500 and C800 print modules have an industry proven performance. The excellent print quality appeals to designers, customers and end-consumers alike. With a print speed of up to 800 feet (244 meters) per minute for the C800, and up to 500 feet (150 meters) for the C500, short lead times are guaranteed. For increased efficiency and uptime improvement the print modules are equipped with a comprehensive service station with automated printhead cleaning. Printhead replacement is fast and easy. 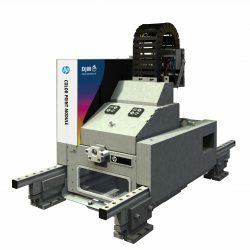 The HP print modules do not require costly refurbishing routines. They are easily integrated into your existing workflow. The total print swath can be expanded by using multiple print modules. The print modules are standard equipped with an external ink cartridge supply system. The system holds two cartridges per color which makes exchanging cartridges while producing possible. 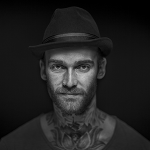 Need more ink? For high coverage applications DJM developed a special Bulk Ink System, and can supply multiple HP print modules. The system (4 Color BIS), has a capacity of 60 liter of ink per color and makes long print runs possible. By ordering the ink in bulk it comes at a lower price and makes production even more cost effective. DJM is a valued HP OEM partner: we couple our extensive inkjet integration expertise with HP print modules to offer you great flexibility.